This review goes back a couple years, but it gets at an issue that continues to be espoused—namely the idea that Christ “emptied” (kenosis) himself of some of his divine attributes. Evans, C. Stephen (ed.). Exploring Kenotic Christology: The Self-Emptying of God. New York: Oxford University Press, 2006. 360 pp. $34.95. 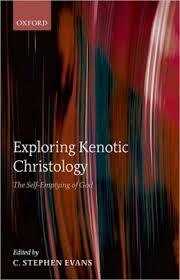 Exploring Kenotic Christology is a compilation of 12 essays edited by Stephen Evans. From start to finish the goal of the book is to make a place for the “kenotic view” of Christ’s incarnation alongside, or in replace of, the “classical view.” Introducing the writers, Evans writes, “Most of the authors can fairly be described as advocates of kenotic Christology, at least in the sense that they are convinced that this approach is a promising one to explore, even if not all of them are convinced of its final adequacy” (5). In the assigned essays, this statement holds up. While making a case for kenosis as a viable doctrinal interpretation, the authors do so with modesty and regard for the history of the church. They recognize their position as the minority view and are very conscious of the Councils of Nicea and Chalcedon. They frame their works within the boundaries prescribed by these historic councils, and they seek to demonstrate how their views better develop the confessions of 325 and 451. The topics in this book range from biblical interpretation to doctrinal formulation, historical and systematic, to philosophical implications and complications. The dialogue centers around classic Christology, that which has been espoused since the early church, and the more recent development of kenotic Christology. Thomas Thompson chronicles the rise of this theory in 19th century Germany with Gottfried Thomasius “first articulating this new approach” (78). His name, along with Wolfgang Gess and Hugh Mackintosh, are mentioned frequently in the book as the forebears of this approach. The differences between the classical view and the kenotic view are as follows: Classical Christology posits that when the Son of God became man, he added humanity to his divine nature, but he never lost any of his divine attributes. His deity was veiled in humanity, but he was all the while God incarnate. This view follows the Chalcedonian formula of “one person, two natures” and has been explicated through the centuries by theories such as Thomas Morris’ two minds view. Often this approach appeals to mystery and ineffability when considering how humanity and deity coinhere, and when more specific details are pressed theologians often appeal to the communication idiomatum. While giving an answer for how deity and humanity are conjoined in Christ, kenotic Christology wants to go further. Appealing to the term ekenosin in Philippians 2:7, kenotic Christology emphasizes Christ’s “emptying.” It is not that the Son took on flesh (cf. John 1:14), but in order to do so he had to leave behind certain properties or aspects of deity. Looking to explain the manner in which deity took on humanity, kenoticists are dissatisfied with appeals to mystery. They appeal to the Bible to find ways of describing God the Son’s humiliation. They charge classical views with grounding their claims in views of God that are found outside the Bible—in natural theology and philosophical presuppositions of what God must be like. Assessing their arguments, it seems that a kenotic view of Scripture does agree with orthodoxy. Mackintosh’s four axioms, for instance, suppose “(1) the deity of Christ; (2) his personal pre-existence; (3) his true humanity; and (4) the unity of his person” (91). Likewise, Gordon Fee’s chapter, “The New Testament and Kenosis Christology” appeals to Philippians, Hebrews, and the Synoptic Gospels to support his doctrinal claims. Likewise, the overall argument of the book, while recruiting philosophy and theology, does aim at explicating Scripture. In fact, some of the arguments against classical Christology’s reliance on natural theology and philosophy, while narrow, have a certain Sola Scriptura appeal. So there are positive elements to the book. With that said, there are some troubling features as well. First, many of the authors appeal to God’s self-limitation to explain how the Son could “empty” himself. They admit to the (temporary) loss of divine attributes of omniscience or omnipotence and explain it by God’s divine power to limit himself. However, this radically reshapes who God is and opens the door to all kinds of unwanted entailments. Open Theism being just one. Second, with self-limitation comes a whole new formulation for God. Kenotic Christology is willing to redefine immutability, simplicity, and even our understanding of the Trinity to a more social model. In fact, the whole subject of divine attributes is brought into question, so that God’s “omni’s” may be accidental attributes, not essential. This radically deforms Christianity’s understanding of who God is. While they appeal to the Bible for a more “biblically informed” doctrine of God, they disregard these doctrines too easily. They construe them as extra-biblical accretions from the natural theology of Anselm and others. Third, while rejecting classical views of God and the incarnation on the basis of faulty philosophical positions, Evans et al are just as guilty. Frequently, Evans sequesters free will theism and incompatiblistic freedom to advance his argument, yet in doing so he relies on a faulty belief system. These Arminian notions do not best articulate Scripture’s teaching about God, his creation, and the people made in his image. Therefore, any doctrine built on their foundation will be skewed. Overall, the kenotic model, while picking up many important and biblical elements of Christ’s incarnation, does not make sense of all the biblical data. It keys in on the change in the incarnation, but it does not retain Christ’s unchanging deity (cf. Heb. 13:8; Col. 1:19; 2:9) Even in the primary prooftext, Philippians 2:7, kenotic proponents fail to recognize that “emptying” is coupled with addition, “taking on the form of a bond-servant.” Therefore, to single out Christ’s loss is to consider only one side of the equation. Likewise, the systemic effect of reshaping other doctrines to fit this model demands too much. Better to synthesize the self-sacrificing, humbling work of the incarnation with the unchanging, all-glorious, omnipotent Son of God, than to throw out his deity because it makes more sense. There is a mystery to the incarnation and one that should be explored, but one that should not minimize Christ’s deity or devalue his humanity. In the end, the kenotic theory of the incarnation does the former, it brings into question the sustained deity of Christ and it misshapes the whole Godhead.